Drive your way to a successful business venture! Thinking of buying a mobile home park? This niche investment in the commercial real estate industry has sparked the interest of many. Read on to learn everything you need to know about buying a mobile home park. Buying a mobile home park may simply consist of buying a lot of land and then renting out spaces for individuals to place, or park, their homes. More commonly, you’ll be buying the land with semi-permanently established homes already on most or all of the plots, which you can then rent or lease to tenants. If you are buying an already-established mobile home park instead of building one from the ground up, you will likely have the advantage of residents who are already settled in. With established residents already occupying the lot, you can spend your time and money on maintenance and updates instead of attracting new tenants. By the nature of the mobile home park business, your consumers are mainly long-term residents. With an average cost of about $3,000 to move a mobile home, it’s not uncommon for tenants who own their own mobile homes to stay put for decades. This has many advantages when considering the level of involvement expected from you the owner. For starters, mobile home park owners sidestep many typical landlord duties by not owning the actual housing units. Comparatively, apartment building owners oversee every nook and cranny of their units and must address any necessary repairs their tenants identify. With this business model, in addition to the land itself, you’ll only be expected to provide and maintain the necessary services (like water, sewer, and electrical), as well as basic amenities like lawn care and garbage pickup. The required day-to-day operations are lighter than some similar businesses. 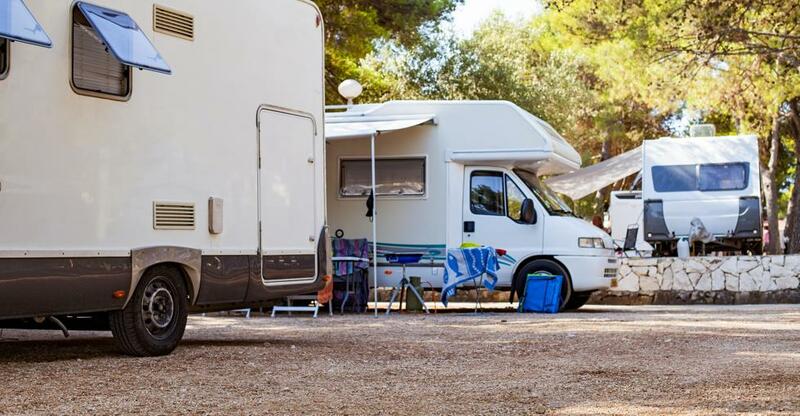 For example, while an RV park would require you to survey the daily flow of customers, the extent of your customer service requirements (barring an emergency situation) involves collecting the monthly check. Living in a mobile home is a lifestyle. By entering this industry as an entrepreneur, it’s important to understand that your business is affecting many people’s way of life. You are supplying the foundation for their home – literally. Mobile home parks give individuals the ability to be a homeowner in a cost-efficient manner. For many, this is a preferred alternative to throwing money out the window by renting, or being bottled up in a small apartment. In today’s economic state, the demand for affordable housing is ever-increasing. Being able to claim the title of “homeowner” while not wiping out your wallet is a win-win situation for many. Let’s take a closer look at two segments that especially find value in your business. Recent research suggests that 38 percent of American wage earners make less than $20,000 a year. This statistic gives huge insight into the way of life of many Americans, including your potential tenants. Families struggling under the poverty line are looking for a way to give their children a place to call home while staying within a tight budget. This is a peak time for Baby Boomers as they reach retirement. Seventy-five percent of retirees have under $30,000 in their bank accounts. A clear option here is to trade in the big house for a more efficient and affordable space. Mobile homes, therefore, become a more attractive option for retirees who may not have jobs or small children tethering them to their lifelong house. This niche market can be considered a hidden gem for investors, both due to low cost per unit and lower risk than other real estate ventures. Instead of buying one lot of land with a single house, or even an apartment with twenty units, some mobile home parks can accommodate hundreds of units. Your total investment can be equally distributed across all the possible units, resulting in a lower cost per unit. If the one family living in your one house moves out, you assume the entire financial blow at once. Conversely, if one family out of eighty moves their mobile home out of your park, the financial hit is definitely not as hard. This makes it easier to weather unexpected setbacks while maintaining the financial means to keep day-to-day operations afloat. If the idea of buying a mobile home park interests you, now’s the time to find the right one and jumpstart your new business venture. Check out all the mobile home parks for sale right now, and start moving toward that goal.